Remove feathers from chickens, turkeys, pheasants and quail in 30 seconds. 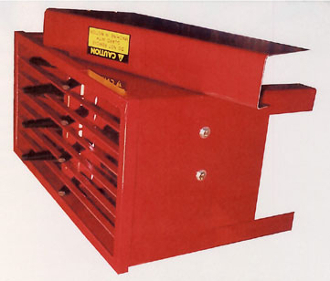 Mount this Deluxe Picker on your table or bench top for easy use. 28 rubber fingers draw across your poultry to easily remove feathers. The fingers are 5" long and attached to a drum that can be manually driven. The top surface has a grate that helps protect fingers from being drawn into the picker and allows you greater control over the bird. Easy instructions included. Picker dimensions are 12" W. x 39" L. x 32" H.